Beef Bulgogi Burgers | Delicious and made right in the Air Fryer! I love putting a fresh spin on traditional recipes, and I’m so glad I made these Air Fryer Bulgogi Burgers. They’re absolutely amazing. Doing them in the air fryer meant I didn’t have to babysit them, and yet they turned out moist, flavorful, and delicious. Bulgogi is typically Korean Barbecue made from pork. It’s generally cooked for a long time, and has rich flavors from Gochujang (Korean red pepper paste) and is a traditional dish that many people are familiar with. Recently I did a did a Dae Ji Bulgogi recipe for the Air Fryer, or you can make it in your Instant Pot or pressure cooker HERE. There are so many reasons why this is a good idea. I mean. Bulgogi. and Burgers. Do you really need another reason why this is a good idea?? These Bulgogi Burgers are actually some of the best burgers I’ve ever eaten. Now I will say, you definitely want the this awesome Gochujang Mayonnaise. For low carb/keto, you’ll want to wrap this in with lettuce leaves and enjoy it that way, or if you aren’t low carbing, have them on a wonderful soft bun and enjoy! We ran a #photochallenge in our Facebook group to encourage people to try new dishes, and to up their photo game. Winners are chosen based on the quality of the photos, and they are generous enough to give me permission to post their photos in this post! 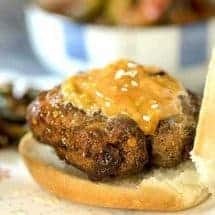 I love putting a fresh spin on traditional recipes, and I'm so glad I made these Air fryer Bulgogi Burgers. They're absolutely amazing. Doing them in the air fryer meant I didn't have to babysit them, and yet they turned out moist, flavorful, and delicious. In a large bowl, mix ground beef, gochujang, soy sauce, garlic, ginger, sugar, sesame oil, chopped onions and salt and allow the mixture to rest for 30 minutes or up to 24 hours in a refrigerator. Divide the meat into four portions and form round patties, with a slight depression in the middle to prevent the burgers from puffing out into a dome-shape while cooking. Set your air fryer to 360F for 10 minutes and place the patties in a single layer in the air fryer basket. 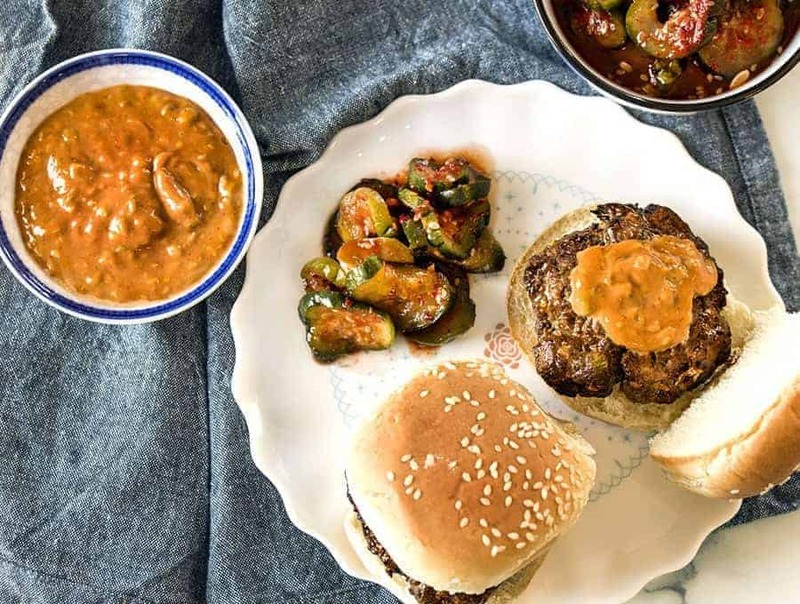 Make the Gochujang Mayonnaise: While the patties cook, mix together the mayonnaise, gochujang, sesame oil, sesame seeds and scallions. Using a meat thermometer, ensure that the meat has reached an internal temperature of 160F and remove to a serving tray. 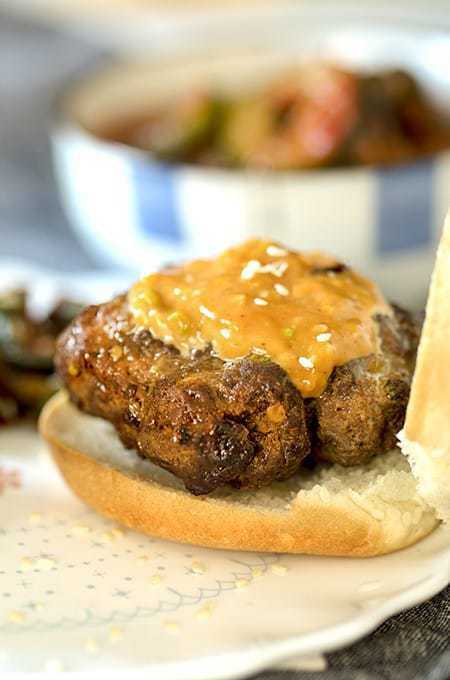 Serve the patties with hamburger buns and the gochujang mayonnaise. 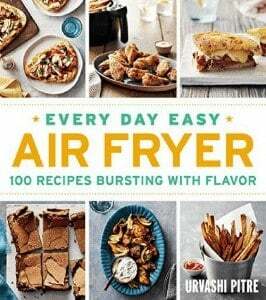 I suspect the final recipe has less fat since the air fryer renders fat into the basket. Either way, these are keto/lowcarb so enjoy! HELP! 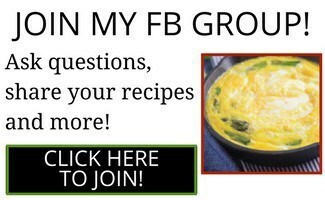 For both recipes above – is it toasted sesame oil or regular?? I have made these a few times. A delicious recipe and a great work to flavor ratio! I am going to try a kimchi coleslaw to accompany it tonight. make the sauce, 1 tsp fish oil, 1 tsp soy sauce, 1 tsp sugar, 1 tsp gochugaru aka korean coarse red pepper. mix well chopped some green onion, add cucumber. mix well let it sit for 30 min. ready to use. This was excellent! It smelled amazing and was such a fun twist on the traditional burger. We just mixed mayo and gochujang without the extra sesame ingredients because my husband isn’t huge on sesame oil and we wanted to cut the carbs from the seeds. It was still perfect! I made low carb microwave buns to eat them on. Will definitely be making again in the future. Thank you! Even though I don’t have an air fryer, I made it anyway since I love Korean flavors. I cooked them on my flat-top griddle for a few minutes on each side, until cooked to medium. I used Tamari in place of the dark soy sauce and no bun, since I’m gluten free. So yummy that I made it 2x in one week! Can you also share the recipe for the pickles in the first photo? Thanks! Just for clarity, people making this recipe would need to use Gluten Free Soy Sauce AND Gluten Free Gochujang sauce (especially for those who don’t normally use gochujang). Can’t wait to try this recipe!!! my life?! 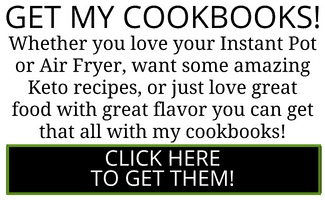 Seriously though, between my Instant Pot and air fryer the only recipes I’ve made with either have been yours and all have been fantastic! 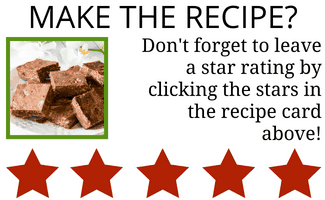 I’m not one to leave comments on any website, but I felt the need to do so with this recipe. The burger is delicious and the Gochujang Mayonnaise is to die for!! I ended up eating this with spinach on the side and had to control miself not to dip the spinach leaves in the mayo-mix like chips-and-dip! Thank you Urvashi for another delicious, different and easy to make recipe.